Christopher Durang has 1 media appearance. 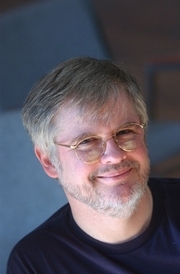 About the Author: Christopher Durang is the author of the Obie Award-winning The Marriage of Bette and Boo, Sister Mary Ignatius Explains It All for You, and Betty's Summer Vacation, the Tony Award nominee A History of the American Film, Beyond Therapy, Baby with the Bathwater, Laughing Wild, Betty's Summer Vacation, and Miss Witherspoon. Along with Marsha Norman Durang is the co-chair of the playwriting program at the Juilliard School Drama Division. Durang was the first playwright to be awarded the Harvard Arts Medal. In addition he is the recipient of the William Inge Theatre Festival Distinguished Achievement in the American Theatre Award and the Academy Award in Literature from the American Academy of Arts and Letters. Early in his career, Durang won a Guggenheim, a Rockefeller, the CBS Playwriting Fellowship, and many other grants and fellowships. He received his B.A. from Harvard College and a M.F.A. from the Yale School of Drama. About the Book: Winner of the Tony Award for Best Play and winner of the Outer Circle Critics Award, the Drama League Award for Best Production of a Play, the Drama Desk Award for Best Play, the New York Drama Critics Circle Award for best Production, and the Off-Broadway Alliance Award for Best Play, Vanya and Sonia and Masha and Spike is one of the most lauded and beloved Broadway plays of recent years. Christopher Durang is currently considered a "single author." If one or more works are by a distinct, homonymous authors, go ahead and split the author. Christopher Durang is composed of 1 name.